Great! Your expanding operations north of the border but with your American business expansion into Canada you wonder; How am I going to pay my Canadian employees? Unless you are using an Employer of Record Service in Canada (similar to a PEO in the U.S.) and want to hire an employee you must register your business with the Canadian government. Federally registering is the first step and then registering a business presence in each province and / or territory (Canada has 13) you are operating in would be the next step. Of course this process can be even more complicated if you are a Limited Liability Company (LLC) in the US as Canada has no similar status and again has different rules depending on the province or territory. Registering your business is not the only registration you will do as a new business in Canada. You must also apply for a payroll tax account number into which you will remit the employer and employee taxes for the Canada Pension Plan and Employment Insurance. These two taxes are in every province and territory across Canada with the difference being that each province has its own rate in which these taxes are calculated. Keep an eye on the rates as they often change for each province at the beginning of each year and its important to know when paying a Canadian. Some provinces have other payroll taxes such as the Employer Health Tax in Ontario and the Health Services Fund in Quebec so it’s important to know what other type of taxes are associated with the province the work is being done in. It’s worthy to note that as a company in Canada, you will be given a weekly, semi-monthly, monthly or quarterly deadline for these payroll taxes but for those provinces that have extra taxes (like the 4 provinces that have a health care tax) your deadlines might be on a different schedule. The Canadian Government will not hesitate to apply interest and penalties to slow paying accounts. The best advice an American company should take when hiring workers in Canada is to use a Canadian Based Employer of Record service. Using an EOR like The Payroll Edge enables U.S. based companies to focus on their core business rather than learning a whole new payroll entity. Contact The Payroll Edge today! 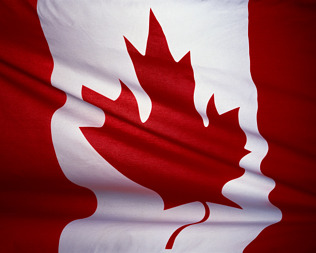 Unlike the U.S., the workers compensation program in Canada is government run. Every Employer in Canada must register for a worker’s compensation account in every province that they have employees working in and each province has different rules as far as the registration process. For example, in Ontario you cannot apply for a workers compensation account until you actually have an employee start date, in Nova Scotia you don’t register for an account until you have 3 workers and in Alberta you can pre-register regardless of whether you have employees or not. Each province also has different registration fees and some may even ask for a pre-payment for new registrants. As an employer, you pay a certain percentage in taxes to the provincial workers compensation board based on the wages of your workers and the risk associated with the type of work your employees are performing. For example currently in Ontario a worker in a clerical role would cost an employer 0.22% in workers comp taxes. However a worker on a construction site in Ontario would be taxed at 5.05%. If a worker is injured on the job, a workers compensation board will assign a claim adjuster who will investigate and make recommendations. The workers compensation boards in every province are in place to protect the worker and ensure employers meet health and safety standards. They can be a daunting authority to a U.S. company unfamiliar with the rules and regulations associated with the Canadian Ministry of Labour. Many U.S. companies don’t realize that they should complete their own investigations and they have the right to appeal the board’s decision. They also tend to rely on their own legal counsel in the States to advise them on best practices across the border. 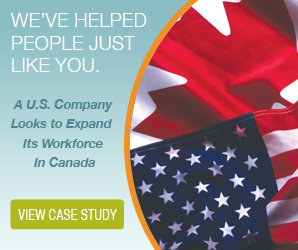 Lack of experience in Canada can lead to hefty fines for non-compliance so it’s important that U.S. companies engage in Canadian expertise, or rely on an experienced Employer of Record, when expanding their workforce to the great white north. What’s The Best Canadian Payroll Calculator? Like a personal income tax calculator, a Canadian Payroll Calculator, like the one here can be a handy tool for determining if you’re on the right track with exemptions and withholdings. However, like a personal tax calculator, a Canadian Payroll Calculator is no substitute for the assistance of an experienced professional. If an online calculator could replicate professional experience, there would be no more need for CPAs, accountants, or tax attorneys. As things stand, calculators are limited by the knowledge and experience of the person using them. If you make an incorrect entry, or don’t fully understand how to apply the thousands of different rules and laws, then the output will be inaccurate. With personal taxes, this could result in an audit, fines, and back payments of thousands of dollars. When handling payroll for dozens or hundreds of employees, the costs could increase exponentially. Let’s face it – payroll laws are complicated, no matter what side of the US-Canada border you’re on. If you happen to operate on both sides, then the complications are doubled. Payroll professionals spend years learning all of the intricacies of the law, and even that robust knowledge can’t prepare them for everything. When new laws are adopted, there’s no way for the authors to foresee every possible situation. When unique situations arise, applying the law correctly requires experience with previous, similar, situations. You can’t get that experience from just an online Canadian payroll calculator. Payroll professionals handle every conceivable situation, week in, and week out. Every day is spent gaining more experience in the application of payroll regulations. While you or your payroll department may spend a few hours each week on payroll, payroll providers do it every single day. This level of experience allows them to quickly and accurately handle the most complex payroll needs. For US businesses operating in Canada, payroll regulations are just one of many day-to-day issues that must be dealt with. Maintaining a physical business presence, government accounts, insurance, and workplace compliance are a few more. Trying to manage the legal requirements of a business on both sides of the border can tax your resources and exhaust your staff. And, if you make any mistakes, the costs can quickly offset any profits you’ve enjoyed. 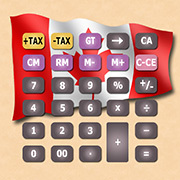 No Canadian Payroll Calculator can tell you if you're handling your legal compliance correctly. Payroll service providers in Canada also operate as Employers of Record (EOR). 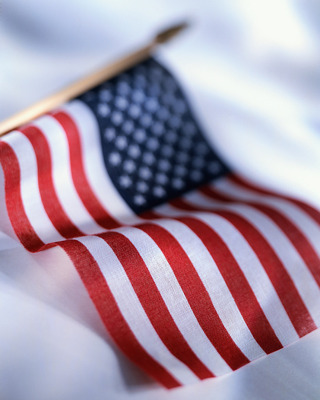 Performing the same functions as a Professional Employer Organization (PEO) in the US, an EOR makes it easy to manage your business from a distance. Instead of paying to set up your entire business organization north of the border, you pay the EOR, which already has all the business resources you need in place. Instead of spending your valuable time jumping through legal hoops and dealing with multiple layers of bureaucracy, you actually spend your time running your business. The EOR has the expertise and experience to handle all of the legal requirements, while you focus on the things that make your business successful. What is the Best Canadian Payroll Calculator? Any business (including those based in the US) that needs to pay Canadian workers could benefit from a Canadian payroll calculator. These calculators can help you figure out basic withholdings for Canadian taxes, the national pension plan, and unemployment insurance (called employment insurance in Canada). For everyday withholdings and remittances, a Canadian payroll calculator can point you in the right direction. 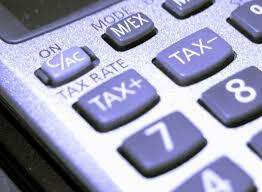 However, there are some limitations to a Canadian payroll calculator that you need to take into account. Failing to address those limitations can cause you to withhold too little or too much money from your workers’ checks. When that happens, you’ll be on the hook for back payments, repayments, fines, and more. A Canadian payroll calculator takes the information you enter, and gives you a quick overview of the most likely withholdings and remittances. It bases the output solely on the information you’ve entered, so be sure to double check what you enter. Using current laws and regulations, the calculator is able to predict the standard withholdings for your employees. This will help give you an idea of what you should be holding back from each paycheck. While it’s certainly not foolproof, it can show if your withholdings are currently way off. A Canadian payroll calculator can’t do advanced error checking, and it can’t offer legal advice. It assumes that you understand, and are correctly applying, all of the Canadian workplace regulations. If you misunderstand or misapply a regulation, the calculator will give you an erroneous result. If you misclassify a worker, or enter the wrong tax information for them, again, you’ll get a false result. The calculation is only as accurate as the data entered, so be sure you know what you’re entering. Right now, the most reliable Canadian payroll calculator is a professional payroll service provider (like The Payroll Edge). They know and understand all of the relevant laws and regulations governing payroll withholdings and remittances. The staff spends every day dealing with every possible payroll scenario, so they don’t get tripped up by the subtleties of the law. They know how to appropriately classify employees, to make sure they’re being entered correctly into the payroll system. A professional payroll service provider can also offer advanced error checking, so simple arithmetical mistakes don’t end up costing you fines and back payments. While a payroll calculator can point you in the right general direction, a professional payroll service provider can ensure that you achieve, and maintain, full compliance with all applicable laws. Payroll processing is an important part of any business. Making sure everyone is paid accurately, and on time, is critical. 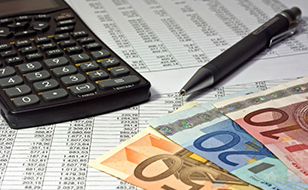 Making sure all of your reporting and remittance obligations are met is equally critical. Mistakes in any part of your payroll processing can lead to labour issues, audits, and expensive legal entanglements. There are several ways to handle your payroll processing, some more difficult than others. Handling your payroll the right way will save you time, effort, and money. Handling it the wrong way can end up costing you way more than you bargained in the long run. You always have to option of just doing it all yourself. Most businesses start out this way, with the owner handling payroll until it becomes too large to manage. You can take the time to learn all of the regulations, attend conferences to learn about new legislation, and even buy yourself some expensive software. Of course, then you have to learn to use the software, and keep up with updates and changes to the software. Once you have the knowledge and the software, you can spend hours every week handling all of the paperwork for payroll processing, as well as addressing any employee issues with payroll. As your business grows, you’ll spend more and more time on payroll, and less time focused on your business. Often, when payroll processing gets too complex for the owner, it gets handed down to the growing HR department. They inherit the responsibility of keeping up with changing legislation, learning new software, and dealing with employee issues. They often have little or no previous experience with payroll processing. They get to start from scratch, and learn the ins and outs of payroll service as they go. Of course, they aren’t liable for any mistakes they might make along the way. That burden still falls directly on the company. Incorrect payments or improper remittances can trigger a visit from the CRA. If they find problems with compliance, the fines and penalties go to the company, not to the HR staff. Payroll processing is a lot like other business services. It’s best to leave it in the hands of agencies that specialize in making sure it’s done right. Most businesses use accountants for taxes, shipping companies to deliver goods, and service agencies to repair equipment. Why do they outsource all of those needs? Because smart owners know that no business can do everything. Letting trained, experienced experts handle your tangential business needs just makes sense. When you try to do everything, you end up putting too much stress on your personnel, and pulling their focus away from your core business pursuits. By outsourcing some of your needs, you allow your staff to maintain laser-focus on growing and improving your business. An outsourced payroll service relieves pressure on your staff, and relieves you of the stress of worrying about potential audits and penalties. They have years of experience interpreting and applying new and existing legislations, allowing them to easily navigate the complex payroll requirements. They undergo frequent, rigorous training, and have access to the latest and best software. Using their services is just like engaging a tax professional or repair service. If you want the best service, you hire someone who specializes in the service you need, and who has a proven track record of success. Many businesses still choose to handle payroll using in-house personnel. This is usually done either out of habit, or out of the belief that it saves the business money. 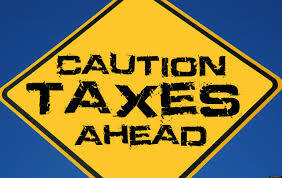 Whatever the reason, it’s becoming increasingly expensive and risky to handle CRA payroll tax compliance using your own staff. As the CRA payroll tax rules continue to evolve and change, it’s becoming more difficult to keep up with all of the complexities. Any money saved by using your own staff can be instantly wiped out by a single error. 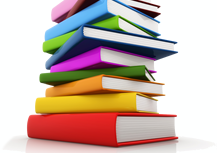 Keeping up with CRA payroll tax legislation requires in-depth training and retraining. Even with all of that training, it still takes constant practice to meet all of the legislative requirements quickly and efficiently. Unless you have a dedicated payroll staff, your personnel probably only deal with CRA payroll tax requirements on a weekly or semi-weekly basis. This leaves gaps in their experience that can allow mistakes to creep in. With all of the other daily tasks your HR personnel are responsible for, it can be difficult for them to find the time to keep up with all of the payroll requirements. When they’re focused on payroll, they aren’t as productive in their other tasks. When they’re focused on their other tasks, they’re not gaining experience in CRA payroll tax compliance. Part of handling payroll involves handling employee questions and concerns. Employees always have questions about insurance and tax withholdings, overtime pay, missing hours, and myriad other concerns. Addressing these issues will consume even more time that your staff could be spending on more productive pursuits. Any mistakes must be corrected, CRA documentation must be changed, and new checks must be issued. The hours lost fixing minor errors can quickly add up to far more than the company is saving by using in-house personnel to handle payroll. Even if your personnel have the right training and adequate experience to handle most payroll needs, that’s no guarantee that they’ll understand all of the nuances of the CRA payroll tax requirements. Worker classifications, insurance requirements, reporting documents, and more, can all change without notice. Something as simple as a trip to another work site can change the reporting requirements for a worker. If your staff isn’t familiar with the triggers that can cause these changes, they can fail to comply with the most current legislation. When that happens, fines, penalties, and back pay can quickly add up to tens of thousands of dollars. Over the past year, the CRA has drastically increased their compliance efforts. This means more audits, more time spent navigating bureaucracy, and more potential for fines and penalties. 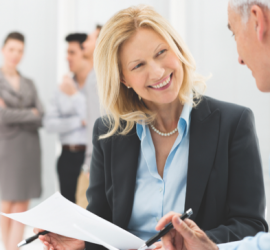 Once you’re involved in a CRA payroll tax audit, you’ll probably want to engage legal counsel. At current hourly rates, it won’t take long for a labour attorney to cost far more than a payroll service. Engaging a payroll service can eliminate all of these problems and concerns. Their dedicated staff is focused on payroll, and payroll regulations, every single day. They have the education, training, and experience to maintain compliance with the most recent legislation. Many of them are involved in shaping upcoming legislation, so they can be prepared for changes before they even happen. Using a payroll service allows your personnel to focus on tasks for which they are better suited, and which are more productive for your business. 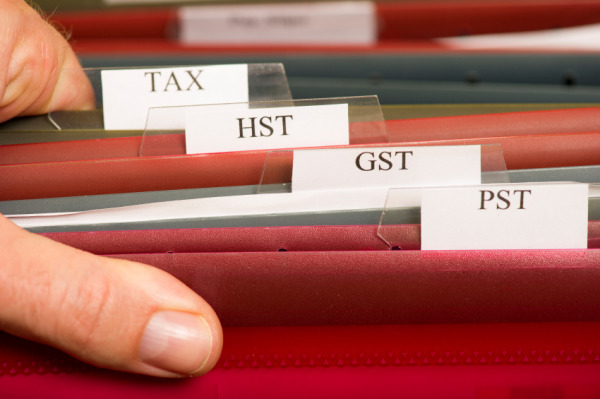 The payroll service can handle everything from employee queries to CRA audit preparation. With their professional CRA payroll tax services, you save time, aggravation, and avoid compliance issues.